You don’t need me to tell you that it’s a dangerous world on the Internet. Hackers abound, which is why you should always make sure you’re following WordPress security best practices. 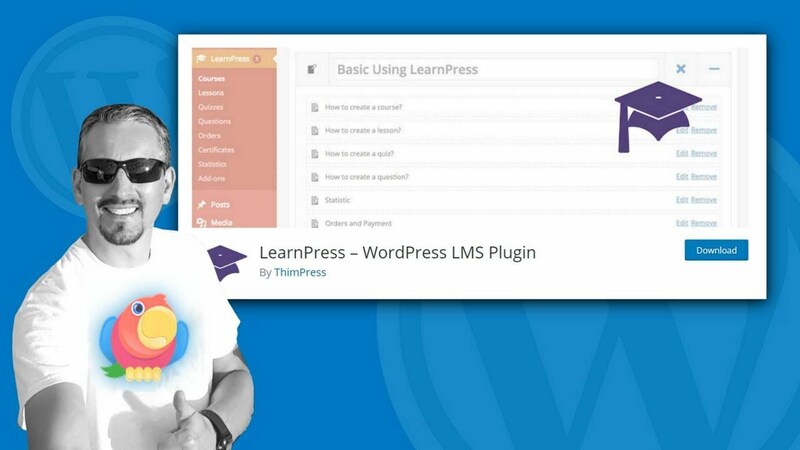 And one of those best practices is learning how to add two-factor authentication to WordPress. 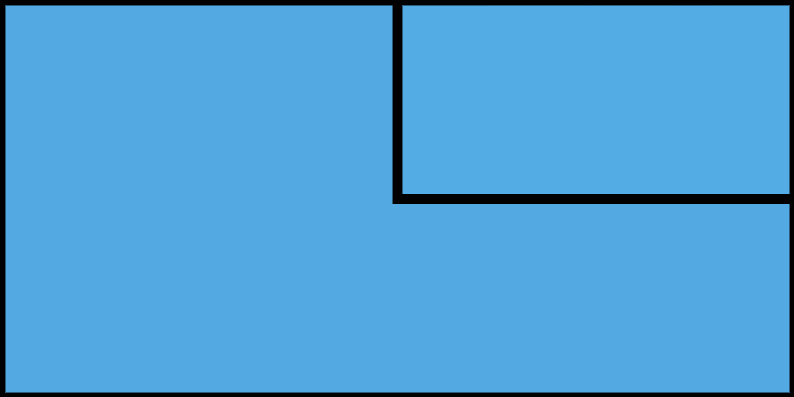 We already have a post explaining the basics of two-factor authentication, so I’m not going to focus very much on “what it is” in this post. If you’ve ever banked online, you’re probably already familiar with the concept anyway. 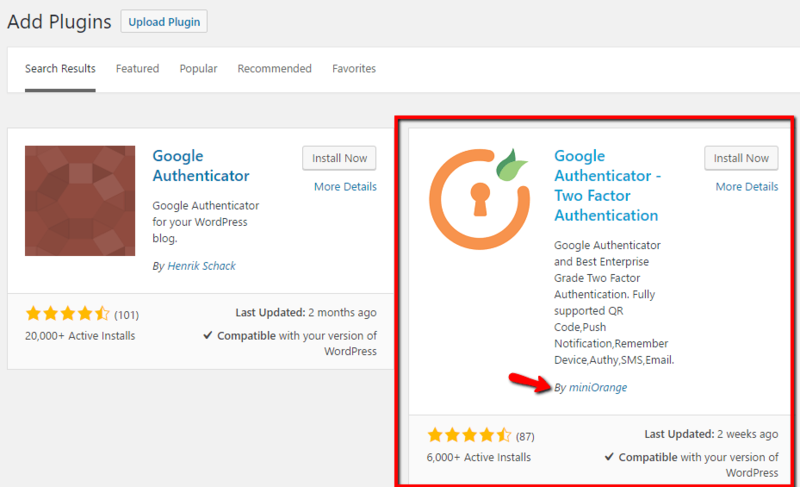 Instead, I’m just going to dive straight into how to add two-factor authentication to WordPress using the miniOrange two-factor authenticator plugin. 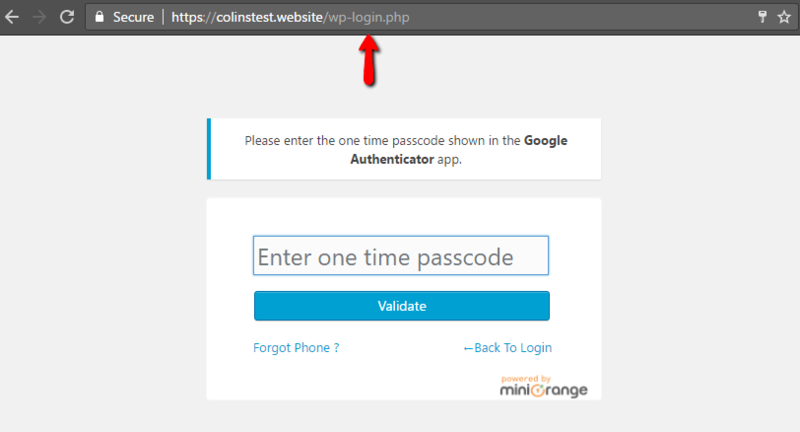 Two-factor authentication is serious business – why miniOrange? miniOrange isn’t just a WordPress developer. They’re a legitimate security company that works with organizations like the Bank of Melbourne. The plugin is regularly updated and well-reviewed. It offers multiple authentication options. You can get texts, use the Google Authenticator app, and plenty more. Other popular plugins are usually more limited. Additionally, if you need to migrate from Clef (another popular two-factor company who will soon cease operations), miniOrange makes that easy. Before getting started, make sure you have your phone handy because you’ll need it to get your authentication code. Once you have that necessary piece of technology in hand, you’re ready to dig in. 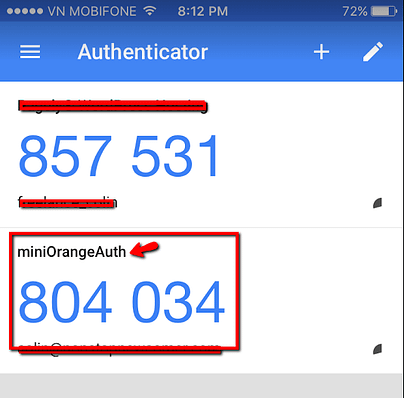 To get started, begin by installing and activating Google Authenticator – Two Factor Authentication by miniOrange. 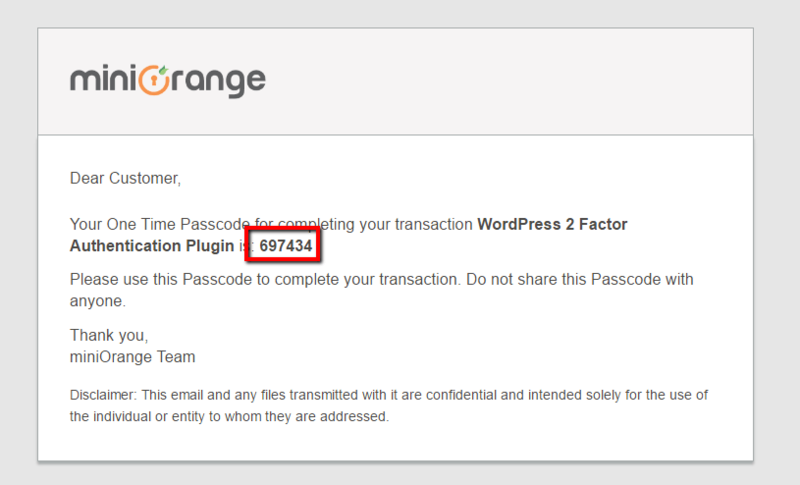 In order to use the plugin, you’ll need to register for a miniOrange account. Don’t worry, though – it’s completely free unless you want to unlock some premium verification methods. 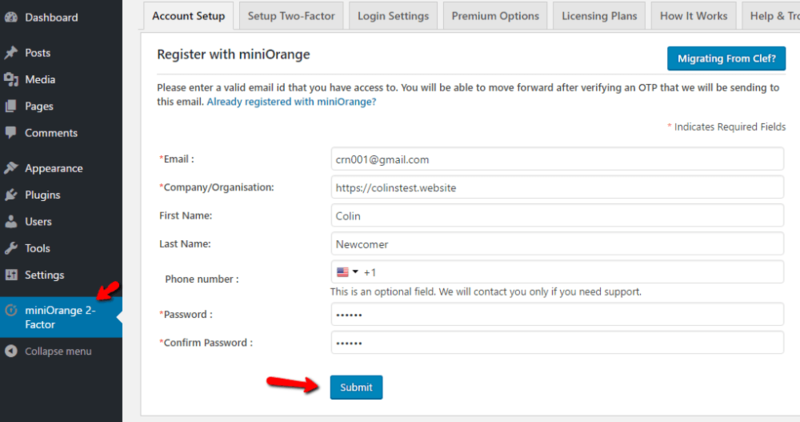 After you click submit, miniOrange will send an OTP (short for One Time Password) to your email address to verify it. You need to enter that code on the next screen. You don’t need to set up security questions, but it’s a good idea in case you ever lose your phone. Login with password + 2nd Factor – you’ll have to enter both your password AND the two-factor authentication code to log in. Login with 2nd Factor only – all you need to enter is your username and the 2nd Factor (not recommended – this kinda makes it…not two-factor authentication anymore). Assuming you select password + 2nd Factor, which I recommend, you can also choose whether or not to enable the “Remember Device” option. Ok, time to actually pick a verification method and add two-factor authentication to WordPress. I’ll show you how to set up SMS messages and Google Authenticator, but you should feel free to use whichever method you feel most comfortable with. 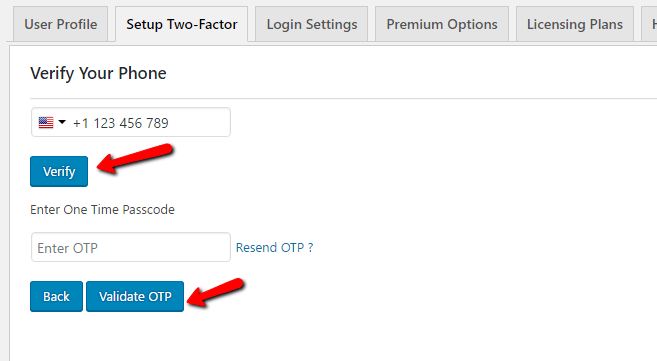 To get your OTP, launch the Google Authenticator app on your smartphone. Once you’ve got the app open, select Begin Setup and then choose Scan barcode. Then, scan the QR code you see in the miniOrange WordPress interface. Enter this code and click Verify and Save. Just be careful – the code expires after a certain amount of time, so you always need to use the current code that you see in the app. 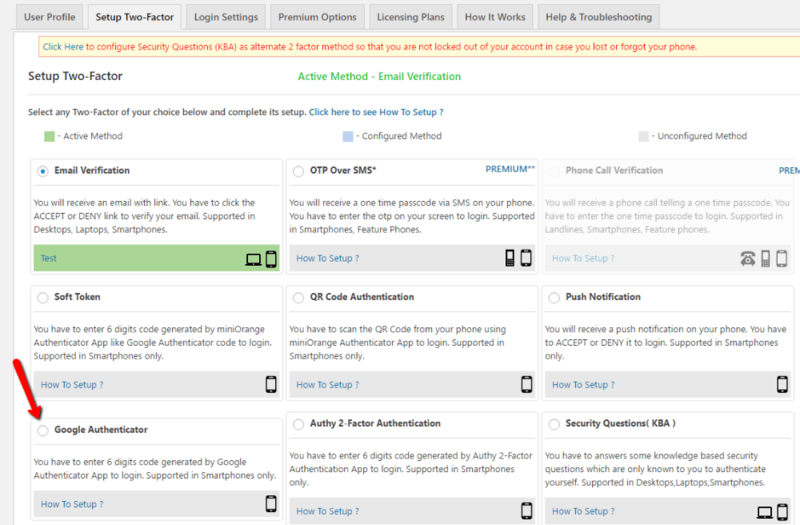 Once you’ve chosen your method when learning how to add two-factor authentication to WordPress, you can test it by trying to log into your site. And now you’re all set! 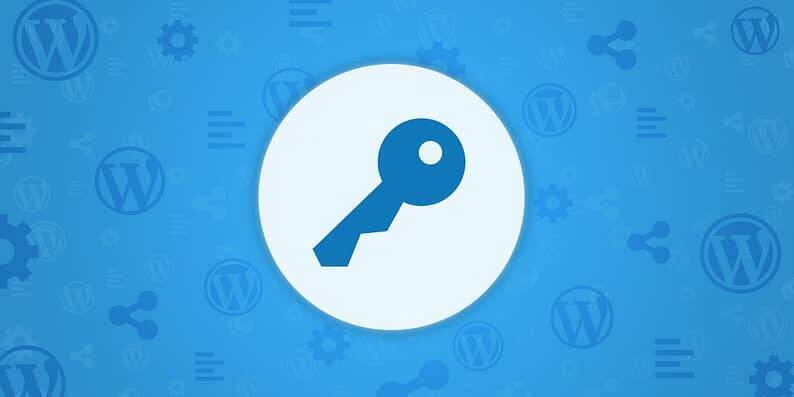 Figuring out how to add two-factor authentication to WordPress is a great way to combat some of the most common WordPress attacks, don’t forget to also follow all the other WordPress security best practices to keep your site safe. And of course, in case you have any questions, don’t hesitate to reach out to us in the comments.